Leonardo – The coolest of the Teenage Mutant Ninja Turtles. This is the movie figure released as part of the TMNT II – Secret of the Ooze (1991 movie) toyline in 2016. Thanks Derek for getting me this guy! He has a couple issues with his grip and his alternate heads, but still a cool figure. Kamela Khan has been made into a Marvel Legend figure finally,. For the most part, she is a very well made sculpt. She is part of the Sandman line and is a welcomed member of the Avengers toy figures. 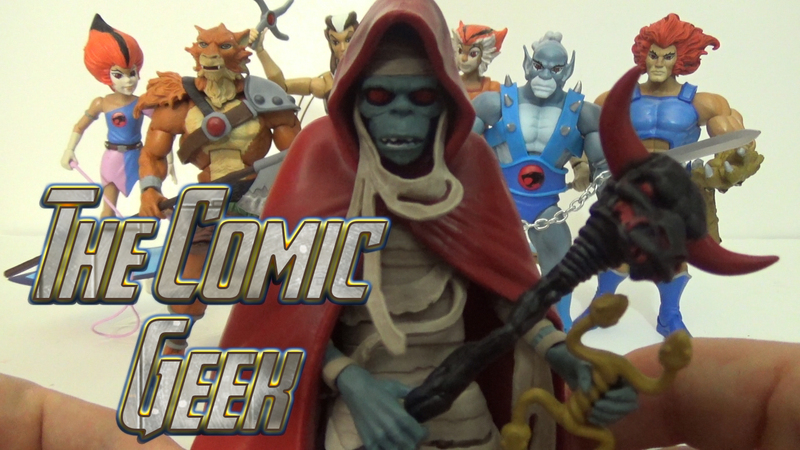 Pumyra from the Thundercats Classics figures from MattyCollector is out and is pretty awesome. Besides being slightly taller than expected and a slightly off eye paint app, this is a great figure. I will be giving her a great home among all of my other toy figures, especially my Masters of the Universe He-Man figures. Panthro- The leather spike daddy of the Thundercat’s group was finally released from the MattyCollector Thundercats Classics toyline. It is unfortunate that he is the last of the toyline, but he is still very awesome. Here’s my thoughts on the figure.